After the first five minutes of full-on gameplay footage we’ve seen from Mass Effect: Andromeda last night, there were a couple of reactions. Number one, that looks rather good, yes I’ll take a piece of that Mr. Bioware. Number two, and more worryingly, the animation was just a bit off. Especially when it came to lip-sync and facial structures, it looked sub-par for the generation and didn’t compare favourably to previous games. Bioware, however, say they’re working on it. 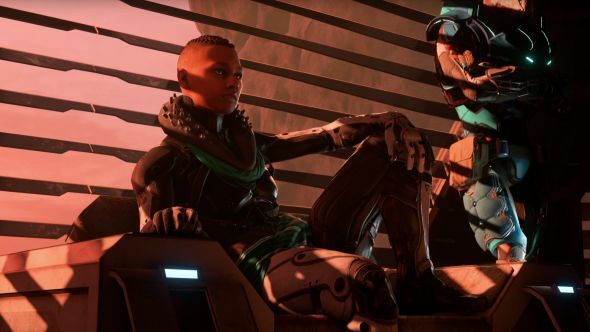 For the rest of our Mass Effect: Andromeda knowledge, check our dedicated post. @FC_paragon We'll be polishing the game until they take it from our cold, dead hands. @invisicow we will continue to polish until someone comes and rips it from us. Because we <3 you. The message overall is that what we’re seeing is non-final. Spring 2017 is still the go-date, giving them up until probably the end of May to get it out with a straight face. Even then, delays wouldn’t exactly be new for the game. While a fair point, it doesn’t really excuse the current state of things being worse than the earlier games, and Dragon Age: Inquisition, all of which had customisable characters. Hence, more work to be done. Hopefully EA don’t push it out too early (or release it between two other, vastly similar games) and it gets the love it deserves to be proper excellent.